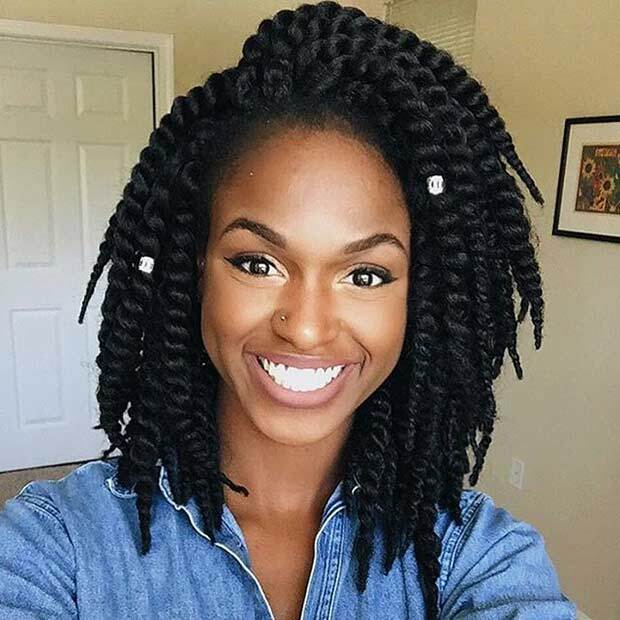 When looking at the best protective hairstyles for black women, you want something that’ll actually do the trick – give you a way to wear your hair how you want to while causing minimal damage and moisturizing or rehydrating the hair at the same time. That’s where these beauties come into play – the best protective hairstyles for black women… Oh, and why they work! Using Havana hair extensions, these twists are created with two strands (rather than three with cornrows and braids). If you want bigger and fuller twists, you apply minimal tension. If you want thinner twists, you pull them tighter. Easy to wear but more expensive than other twist-styles, these will require quite a bit of preplanning and maintenance, something you’ll definitely need to bear in mind. These ones have become increasingly popular over the years and it’s not hard to see why. 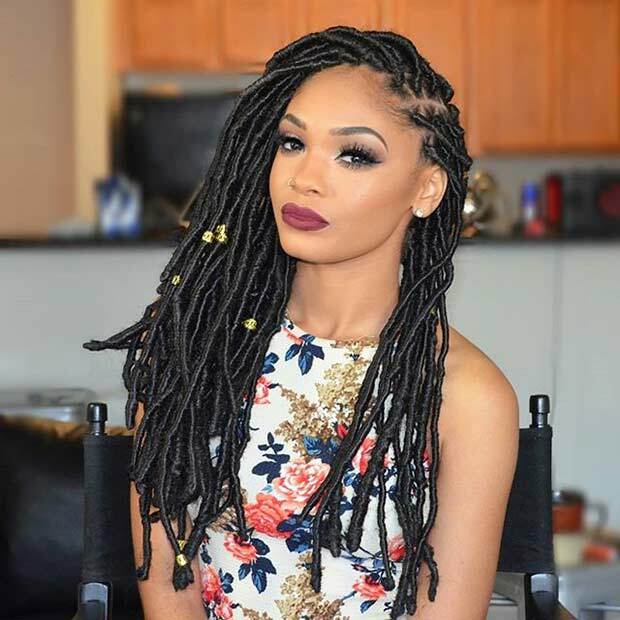 Faux locs can be both temporary and permanent, giving you a beautiful way to protect your hair, the yarn or synthetic material woven around it. 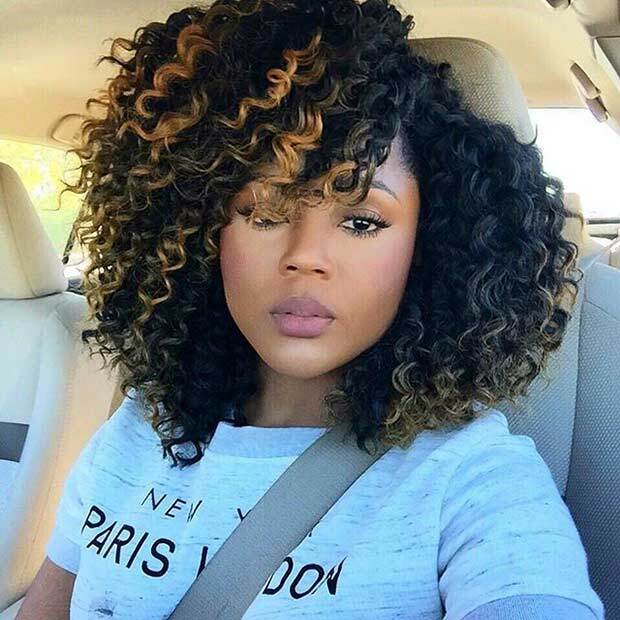 You can have human hair as well as synthetic hair and yarn, and you can pick from a wide range of colors giving you a million ways to wear them. 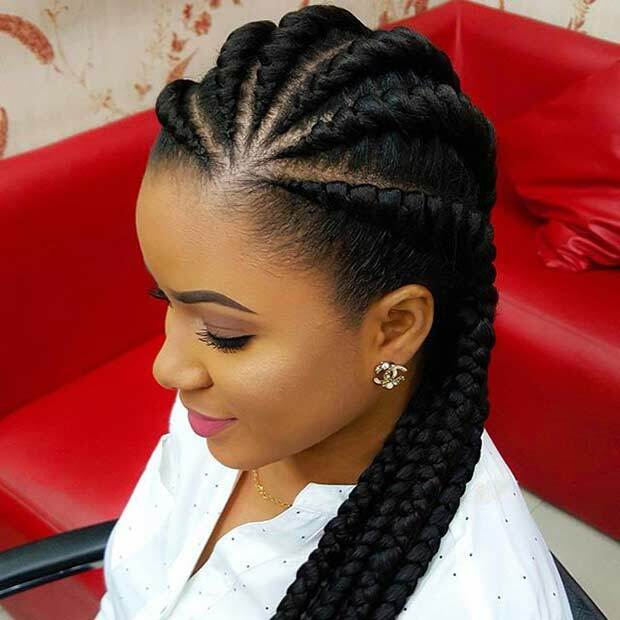 An African style of wearing your hair just as the name suggests, Ghana braids are long-lasting braids, offering a way for you to have fabulous hair when time just isn’t on your side. 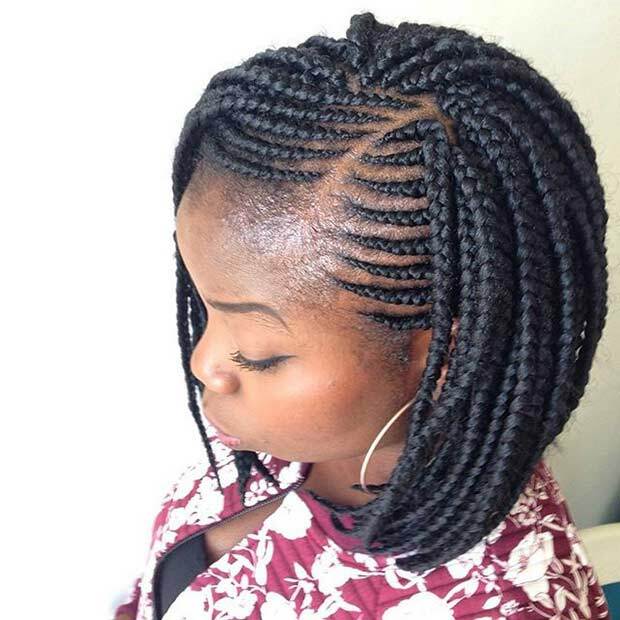 These ones have simply been braided back and left loose at the nape of the neck at which point, you could easily bun them up or wear them in a pony tail. Twist them over to one side, wear them loose, throw them back in a ponytail or weave them into a bun… There’s nothing you can’t do with the right box braids and even worn casually, they are beautiful to look at. For the days your makeup and accessories are on point, keep the hair away from the face like this large twisted and braided look. 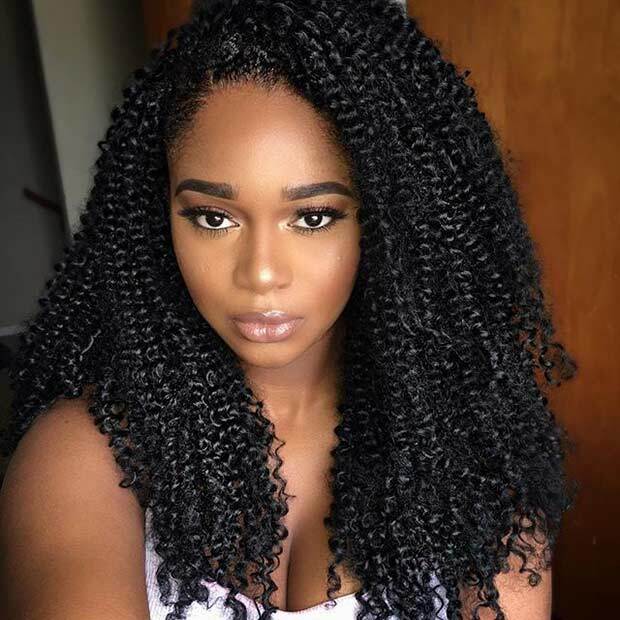 When crochet braids unravel, they look beautifully curly and as long as you keep them well hydrated and maintained, frizziness will be at a low, ensuring you can wear your look for longer. 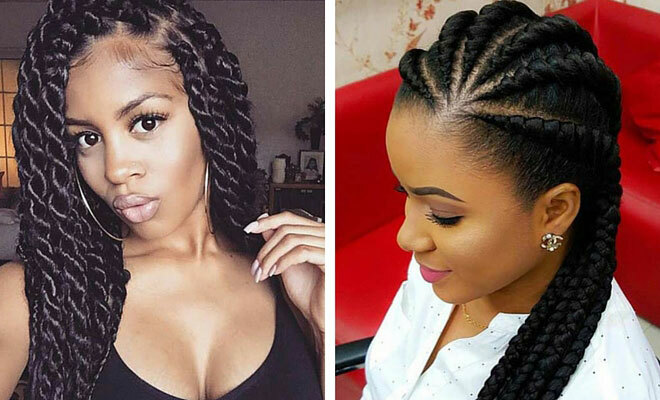 These crochet braids are adorable and definitely follows the 90’s vibe which has hit this season with a vengeance. 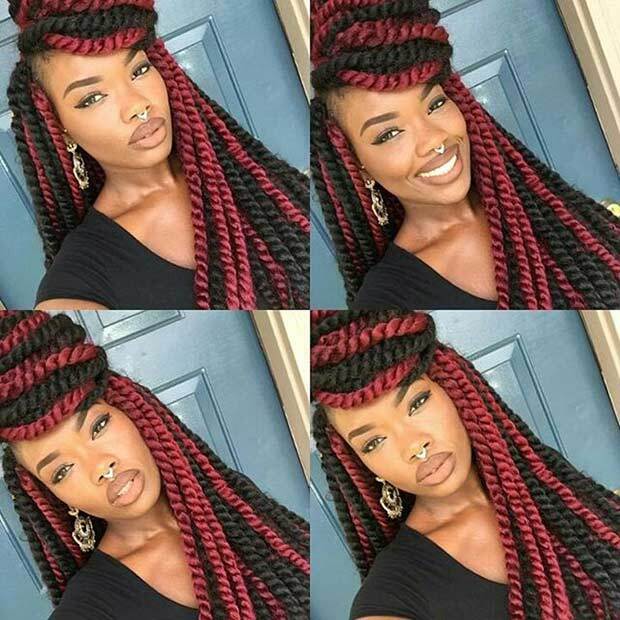 We loved the side-swept nature of this larger twists, and we also love that red shade running through them too, another classic way of revamping a look you may have worn a thousand times before but making it look a little different. You could change your color every time you head to your stylist, and you could even add multiple colors if you wanted to. What color combos would you come up with? Of course, you could just all-out cheat and opt for a custom wig to perfect your look. We love this one, a cute and curly style with just the right amount of caramel bronde running through for added measure. What do you think? Would you be brave enough to rock a big and bold look like this? We want to see your versions of it! We loved this double halo braid, fit for an angel of course! What we love the most about it is that solid pop of bright red running through the braids! Why not add a slightly subtle pop of color to your braids and twists? It helps you to stand out from the crowd and let’s face it, who wants to look like everyone else anyway? Hair accessories are a very big thing for right now and we are one hundred percent in love with these cool corn row cuffs, or hair cuffs as they are otherwise known. Add them to your regular cornrows or twists to accessorise just like you would with earrings, necklaces, bracelets and other types of jewellery. Bling it up! Just because you can have length doesn’t mean you need to have length. The weight of all that hair causes stress and tension on your scalp and can damage the follicles so from time to time, go a little shorter than you usually would. 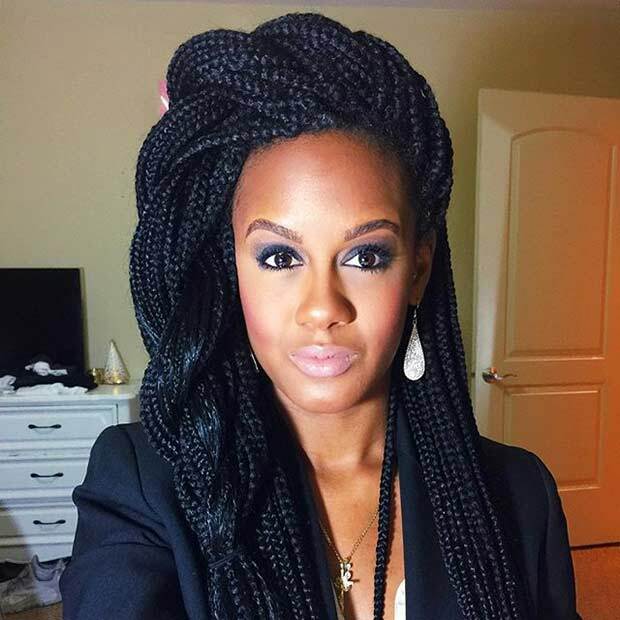 These short braids are super awesome and still incorporate a beautiful braided look along with regularly short length. #7 is not a wig. it’s crochet. I really like all the braids think I will try them this summer. Thanks for sharing these Protective styles ideas. 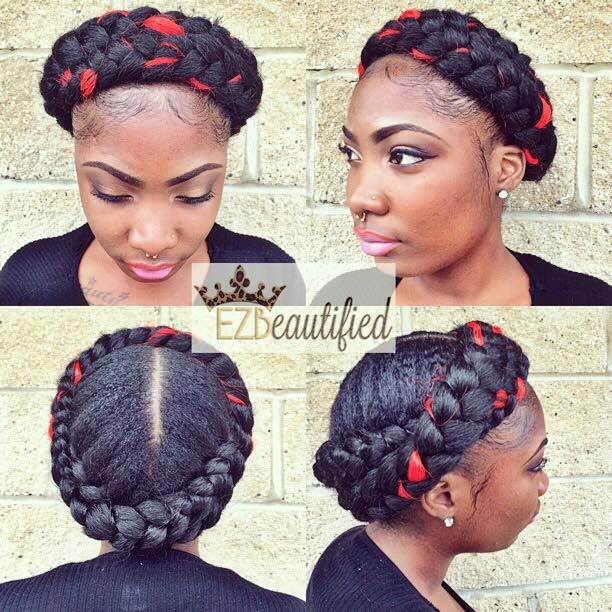 I like that of GHANA BRAIDS, CUSTOM WIG. Hi! Glad you like it. Hair used is Havana mambo twists 12″ from Beauty Depot (@beauty_depot) by Janet Collection (@janetcollection). I have a problem with my hair line. I need a style that won’t break my hair line please help. Can i please know the type of hair used in #9 the crochet braids? So how long do thr ghana braids last? Hi Shaun! 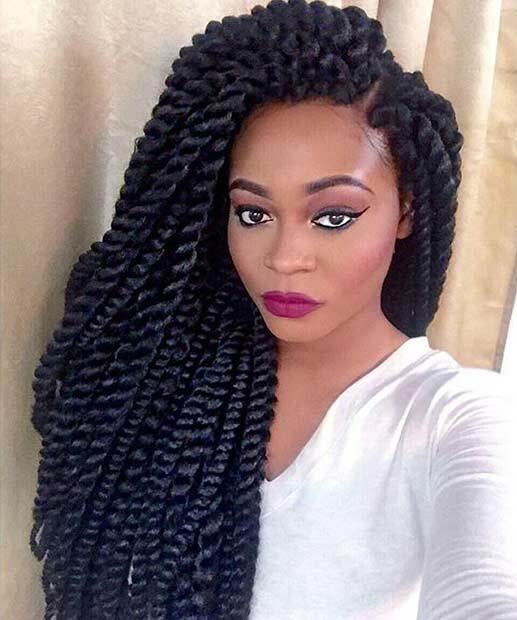 Hair used for the look #9 is – Havana mambo twists 12in by Beauty Depot. Hi Robin! Ghana braids typically last up to three weeks. Most of these seem to need added hair. Do most protective styles use added hair? If not, can you do a post showing protective styles using ones on natural hair? Hi, what hair was used in number 5 please and how can I recreate the style. Also I’m looking for a hairstyle (not braids) that lasts a while but is easy to maintain. I’m going to be real busy so I don’t want to worry about my hair every week. Where can i purchase that wig?? ?